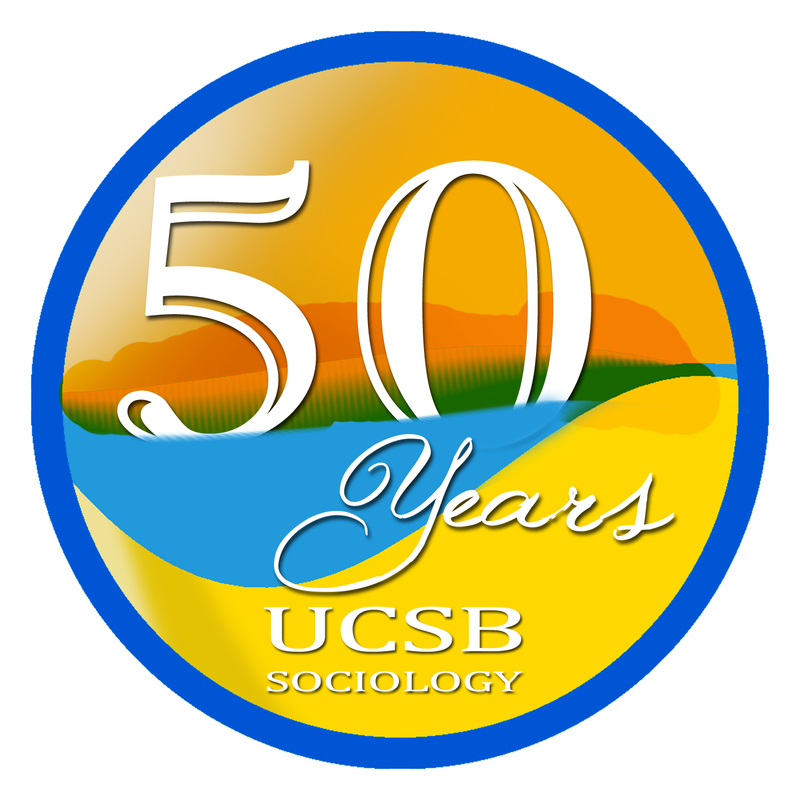 UCSB Sociology PhD Alumni – Celebrating 50 Years as a Graduate Program! 50 Years as a Graduate Program! UC Santa Barbara’s Sociology Graduate Program turned fifty during the 2014-2015 academic year. In honor of this milestone, the UCSB Sociology Department Anniversary Committee created this website to provide a space to learn about the many people who have made and currently make our department what it is. Visit the Alumni page to see a list of all alumni of our graduate program. Visit the Current Graduate Students page to learn about current students and their interests. To celebrate our 50 years, we put on two events during 2014-2015. We kicked the festivities off with a lively reception at San Francisco’s Press Club Wine Bar in August 2014 – during the American Sociological Association’s annual conference. In February 2015, we held a major research conference, where faculty and PhD alumni took stock of the Department’s intellectual and public contributions over the last half century. Click here to see a short video directed by Professor Kum-Kum Bhavnani to celebrate 50 Years of UCSB Sociology. Visit the Sociology Department’s Website for more information on our program, faculty, and students. I think a fifty-year celebration of the UCSB Sociology Graduate Program is a splendid idea. Just looking through the list of graduates brought back many wonderful memories. I’ll be traveling in August, which is a shame as I live in Berkeley, but plan on attending the research conference in February. Thank you Anniversary Committee! This Ancient Gaucho, class of ’47 would love to participate in your anniversary and other activities, but being one month away from 91, it is very difficult. My profs at SB State and SB College of UC on the Riviera Campus when I was there from Sept. ‘42 to June ’47 – I dropped out for a year – were Harry Girvetz and Gwynne Nettler in Sociology, and Buchanan and Nettles (history), Noble, McCrary, Severy in Science, and Woodhouse, to name but a few. There were about 220 grads of UCSB in ’47. To the best of my knowledge I am the only Gaucho who ever went to campus on a horse. In September, ‘47 I enrolled at UCLA where I was a TA for Dr. Philip Selznick and where I got an M.A. in Sociology in June, 1950. In Sept. ’50, I started a two-year research project in LA on the ILGWU concerning democracy in trade unions. The research grant was issued by UCLA’s Institute of Industrial Relations. It was at the ILG that I met my wife of almost 60 years, a business agent and organizer for the union. In November, 1952 I was hired by the Anti-Defamation League as its Director of Civil Rights and Fact-Finding in Los Angeles (keeping track of the hate groups). I stayed at ADL for 41 years, retiring in June 1993, as ADL’s Western States Director Emeritus. Last year, I wrote six articles for the Daily Nexus entitled, “An Ancient Gaucho Looks Back” describing what life was like during my years there. Example, no tuition. Only $17 registration per semester. I am confident you have more important things to do than read about this Ancient Gaucho, so this thumbnail sketch should suffice. However, if you want more, just say the word — SB and UCSB are my wife’s love rivals. Be well because all else is bubkiss, and thanks for asking Sociology alums to share our experiences. I’m writing a very long overdue thank you to the UCSB Sociology Department. I credit my sociology education with helping me win my first jury trial as a brand new civil rights trial attorney. I represented an African-American man, brutally beaten by a Caucasian police officer with a long history of complaints from the African-American community in his town. He was in the park playing with his children early one morning when accosted by two Caucasian police officers. The alleged reason put forth by the officers was perceived felony child abuse because his children were so filthy dirty. At the close of trial one day, one of the Caucasian police officers testified at length about the dirty conditions of the two children. Relying on my UCSB sociology education on cross-racial identification, I asked my clients to bring their two children to court the next morning, with a bunch of their African-American friends, and have them sit in the front row of the courtroom. The next morning, when it was my turn for cross-examination, I asked the officer, “you could never forget those children, could you?” “They were in such terrible condition, right?” He confirmed yes, yes, those children were implanted in his brain forever. I then asked him to point out for the jury the two children, from the row of ten African-American children. He couldn’t do it. Case over. His credibility was shot. I declared a major in Sociology when I applied to UCSB in 1965. I was influenced by the Civil Rights Movement and the Great Society War on Poverty and thought for a time I would go into social work. I enjoyed my introductory course and got my first college A in that and the introductory Anthropology course. I decided to add a second major in Anthropology. They seemed to reinforce each other in many areas. The most challenging class was Theory of Sociology — got a A, but I attribute that to having the class after boxing class in the Old Gym which I guess knocked some sense into me. In the methods class we had to do a survey of five students about 60’s student life. My roommates thought it was a great way to meet girls. I wasn’t very random doing my surveys. The best class I had at UCSB in sociology was Dr. Shibutani’s class on social psychology–tons of wonderful stories, many related to his time in a detention camp for Japanese Americans. It was a fascinating class and he was a big personality as a teacher. I still remember some of his stories, if not the theories he was relating to them. I used my majors to get into grad school for a teaching credential to teach Social Studies. Ended up teaching lots of history as soc and anthro are treated as social studies by most principals and history is the dominant subject in social studies. I worked in the Canal Zone and got to teach Behavioral Science, and my soc and anthro majors were very useful for that class and later for Ethnic Studies. I was able to use my major to teach a few sociology classes at a junior college in Panama and later teach for Central Texas College-Asia, a Marriage and Family class. So I did get some functional use out of my major. My wife also majored in Soc though we never had classes together. She used it to also get a teaching credential through the Canal Zone Schools and spent 32 years teaching overseas, mostly social studies but also elementary school. Interesting that it has been fifty years that there has been a grad program at UCSB. There are so many, small, telling moments. Certainly one I remember vividly is running on the beach in the sun shortly after starting to teach here as an assistant professor and pinching myself because I couldn’t believe how lucky I felt to be here. Things haven’t changed much from that point of view. I remember organizing a rally that blocked the 217 freeway. Many memories of my time at UCSB come to mind, not all of them favorite memories, but more as vivid memories: Vietnam War protests; the burning of the Bank of America; student Kevin Moran being shot and killed by the police; the withdrawal of Dr. Maurice Zietlin’s appointment as a Visiting Professor; The General Sociology exam; and the ghost of Louis Wirth. I guess my favorite memories of UCSB were the stimulating conversations among fellow graduate students and the weekend volleyball games at married student housing. My favorite memory is of getting good advice from Beth Schneider about everything under the sun. Brilliant teachers and mentors all! I remember studying the night before my PhD exam while the pursuit of IV anti-war student protestors was taking place and discovering my roommate had invited a group of them to spend the night in our apartment. Seeing pancakes and syrup everywhere in the morning as I cycled off to campus to write about Social Control. Ironic to say the least. Fridays were the best: a conversation analysis data session with Gene Lerner and Don Zimmerman from 9-12, then a walk on the beach to eat lunch and look at the dolphins, then a LISO seminar from 1-3. We sometimes convened afterwards to carry on our discussions over food and drink at the Goleta Beach restaurant and had to compete against the sound of seagulls, a crashing surf and the whole sky glowing pink and gold.